TheeHouston Agency provides custom WordPress website design and development for businesses in Houston and throughout Texas. WordPress is a website content management platform that is used by more than 50% of the world’s top websites. It’s reliability, flexibility, ease of use, and active community of developers make it a top choice for businesses to use to manage their website. At TheeHouston Agency, we will create a website using WordPress that not only represents your business’s brand but is also optimized for search marketing. We apply the latest, best practices from major search engines like Google and Bing. This will help your business improve its visibility online and help attract new customers. Branding your company’s image is vital to name recognition. Color, logo, images, and videos all play an important part in imprinting on your clients mind the image you want them to take away and remember. Using the WordPress platform, we will develop a custom theme for your company to enhance your online brand. Your website’s custom graphics, color scheme, video integration, photos and other attributes will be integrated to create an effective experience for your website visitors and potential clients. You and your staff will find it easy to manage your custom WordPress website. You will be able to maintain your site by adding fresh content, even videos… quickly and easily. We will even coach you! Our company provides an online training once a month at no extra cost. ImagineOptix’s new website is clean, modern, and easy to navigate. Right away, website visitors are presented with an interactive 3D model that highlights the potential of their technology. 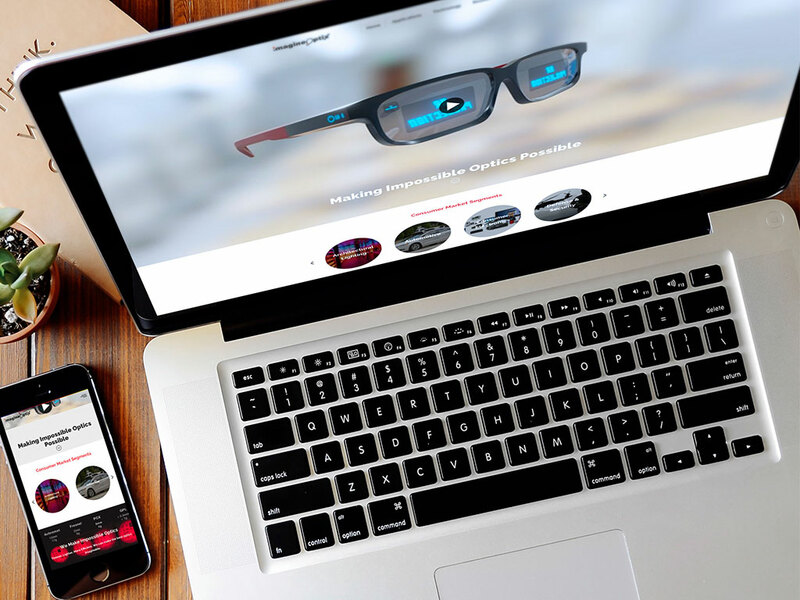 As you scroll down the homepage, you see more high-quality images that highlight ImagineOptix’s technology and products. After briefly seeing all of the cutting-edge technology that ImagineOptix is accomplishing, visitors are presented with an inspiring call-to-action: “Let’s make something impossible come to vision”. Do You Want an Easy to Use Content Management System? Call 281-764-9070 or fill out our contact form to schedule a free site review.